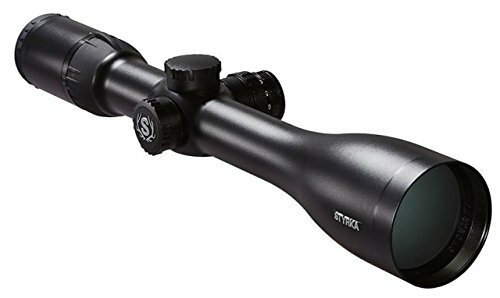 The Styrka S7 2.five-15X50 riflescope options STYRKA’s proprietary SXL-MAX multi-coating for increased gentle transmission all over all the optical system and across all the visible spectrum. Slx-max also enhances contrast and determination for sharper, more detailed Photographs with natural color. The Styrka S7 2.five-15X50 riflescopes are constructed of 1-piece, 30mm aircraft-grade aluminum for long-lasting sturdiness. The one thing between you and the Trophy on your crosshairs is the riflescope fastened on your firearm. At this moment of fact, simply as you pull the trigger, the picture you see should be as crisp and transparent. That is exactly what Styrka S7 Series riflescopes deliver. They’re loaded with necessary options that culminate in a a hit shot. The Styrka S7 2.five-15X50 has a 6x zoom ratio and a big 50mm objective lens for improved low-gentle performance and the power to regulate for Parallax.